Announcement Do not check out as a guest! You might have trouble downloading your patterns! It means to get one free pattern you have to add to your cart 4 patterns, enter the code FREE1, and one pattern will be free. 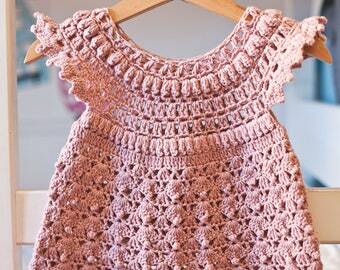 Same works for 2 free patterns - add 7 patterns, enter the code FREE2 and 2 patterns will be free. To get 3 free patterns add to your cart 10 patterns. On Etsy you have to add full priced patterns (4.99$), or add to your cart more patterns to achieve minimal amount, it will show up at the check out. Make sure the code is accepted before submitting the payment! If you don't use the code correctly I will not be able to refund the difference. Most of my patterns are available for an instant download. Once the payment is confirmed, you will receive an email with a download link (it can take around 5 minutes). Please do not leave a note to seller at the checkout, as they are not checked on the instant downloads. If you need to contact me, please, do it through Etsy Conversations. In any case at any time and as many times as needed, you can always download your pattern through your Etsy account - go to "your purchases", find the transaction for the pattern(s), click on "view your files" and download the pattern(s). Only for discount deals I still have to send the patterns manually via email and in this case delay is possible, but usually no longer than 12 hours. 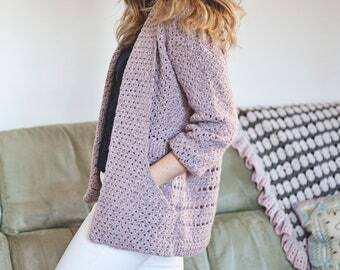 All patterns are available only in English, in US crochet terms. I am adding new designs weekly, sometimes even more often and you are welcome to check my shop for updates! Thank you for visiting my shop and hope to see you here again! Do not check out as a guest! You might have trouble downloading your patterns! New pattern is released! 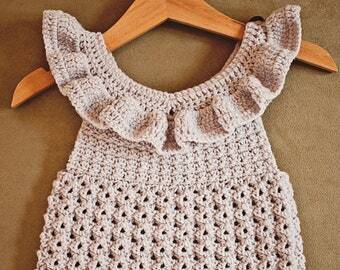 Super cute Pleated Dress to make this summer for your little one! Special price today! Crochet Lavender Wrap Dress is the must of this season! Super fun to make and super cute to wear! Sizes up to 7-8 years! 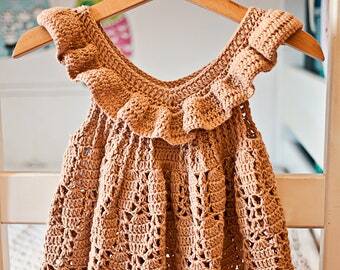 New crochet Ruffle Blanket pattern is now available! Easy an fun to make! Color combinations are endless and looks super cute in one color as well! I live in amazingly beautiful country... in Italy..
My book came out last year in October, and will be released on March 3 in US as well! 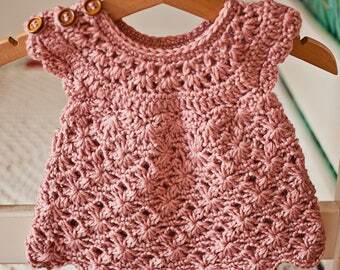 I learned to crochet and knit when I was a little girl and since then I always loved crafts. 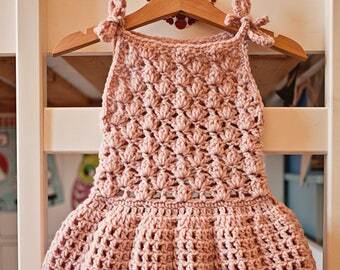 Already in my early years of crocheting and knitting, I always tried to invent my own patterns. I guess, already at that time I was ready to create my own designs, but still did know how to do it. Many years later I finally figured it out! And here is the result! All patterns are written with care, with many photos to help you along the way. And if you ever have a trouble or any confusion with the pattern, I am here to help! I hope you will enjoy working with my patterns as much as enjoyed creating them. Welcome to my Etsy store! I feel so privileged to be here! I am creating unique crochet and knit patterns. I try to do my best to write them as clear as possible and to include many step by step photos. I am also available for questions if you have any problems with the pattern. All my patterns are written in US crochet terms, language - English only. As I am selling pdf files you can not return them or exchange them and I will not refund. So please read carefully the description to be sure it contains the right sizes and check the skill level as well. If you have any questions it is always better to ask before the purchase. Please note - I DON'T SELL FINISHED ITEMS. Most of my patterns are available as instant downloads. Within few minutes after the payment is cleared you will receive the download link. For bundle listings I have to send patterns manually, so delay is possible, but usually no longer than 12 hours. If within 24 hours after the purchase you didn't receive your pattern, please, contact me. For purposes of EU data protection law, I, Vita Apala, am the data controller of your personal information. If you have any questions or concerns, you may contact me at monpetitviolondesigns [!at] gmail.com.